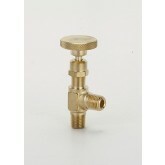 Rego Needle valves are specialty valves for the industrial and alternate fuel market. Manufactured by Rego, Engineered Controls International, LLC, every needle valve is made from the highest quality for flow control with the use of latest technology keeping in mind the customer need. The needle valve efficiency depends upon the precise ratio between the needle’s length and the diameter or the difference in the needle and seat diameter. At Rego, the latest technology is used for precise production of valves. With stringent norms followed in the manufacture, you can be assured of the needle valve flow control for all precise applications and use. Available in a wide range of sizes with precision control for open hole. Avoid using needle valves where the media are a slurry or is viscous. The small orifice can easily get clogged with the thicker material. Rego Needle valves are recognized worldwide for the product quality, precision and innovation in design and manufacturing. All the valves are manufactured in the USA at facilities that use robotic machining operations and computer integrated manufacturing process to achieve the exacting standards. Every valve is tested in the laboratory for 100% reliability performance in the ISO 9001 certified test laboratories. For any bulk enquiry or any other requirement of needle valve, contact us now. 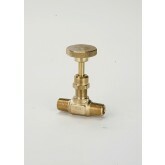 Avail free shipping for needle valve for Continental United States.